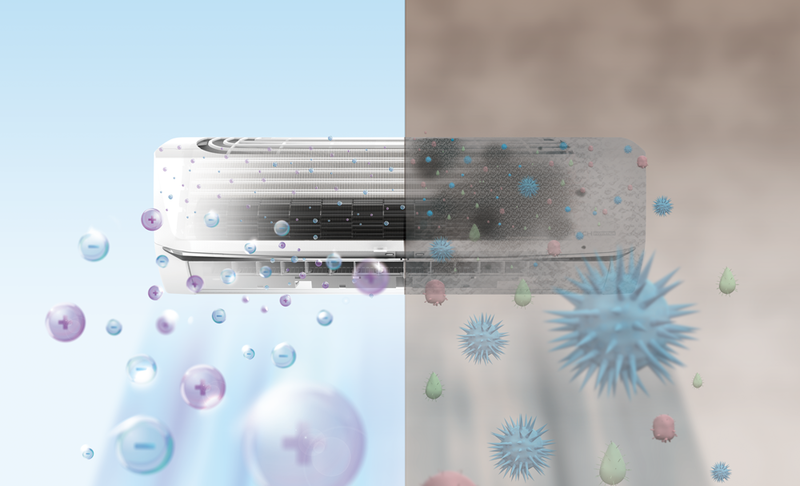 Sharp’s proprietary Plasmacluster Ion technology has been proven to remove airborne bacteria, suppress airborne viruses, break down and remove airborne mold and other contaminants. 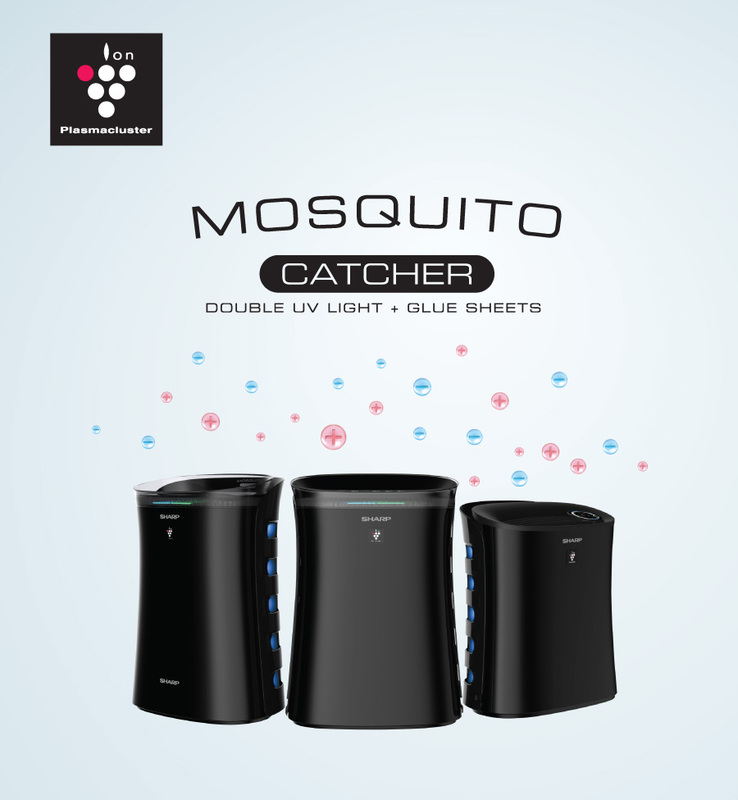 Plasmacluster tehnology is proven effective in suppressing the activity of airborne microbes and viruses. 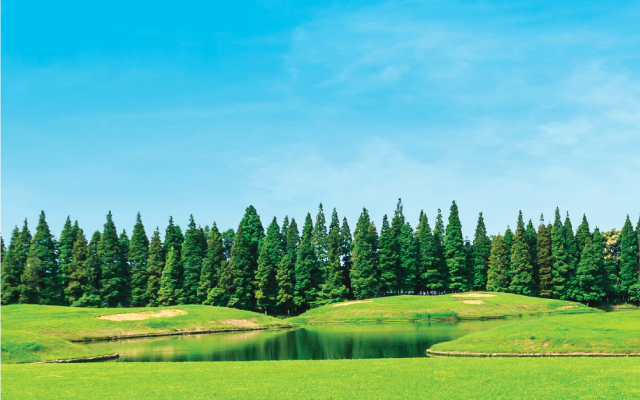 So enjoy quality moments with your family in a pure, clean and fresh environment. 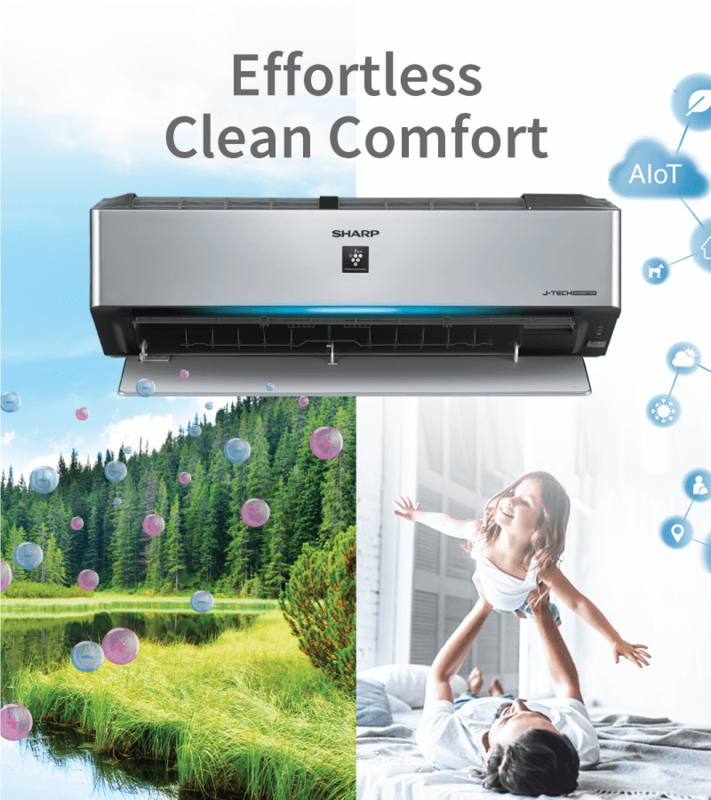 Equipped with a wind clean system which is full of ingenuity to clean the interior of the air conditioner. 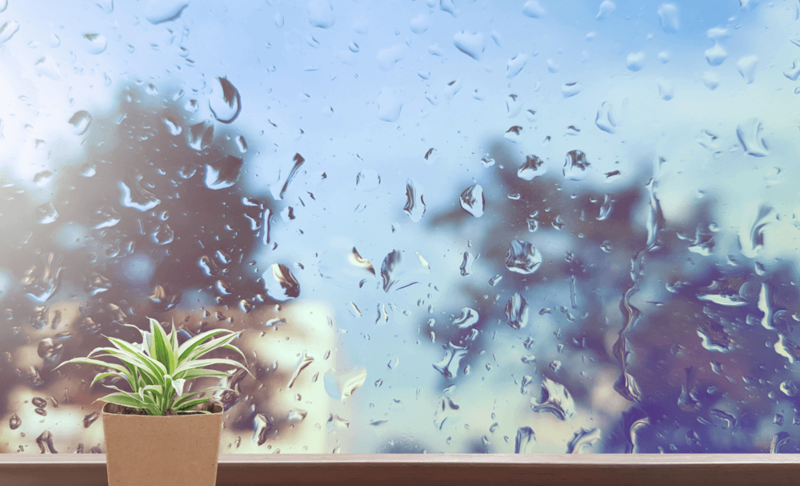 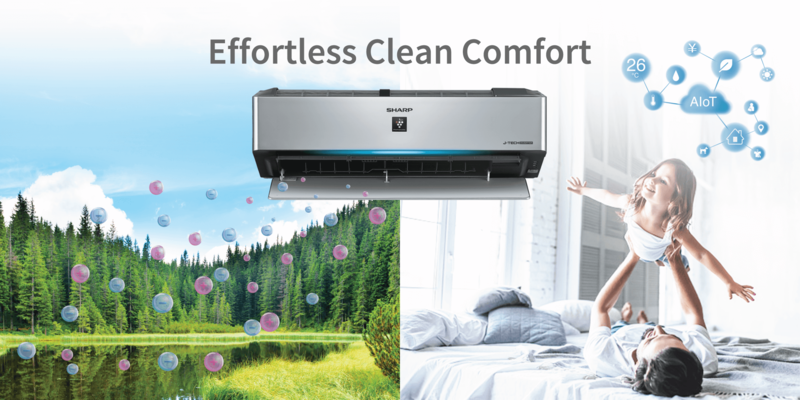 Breathe with confidence from a clean air conditioner. 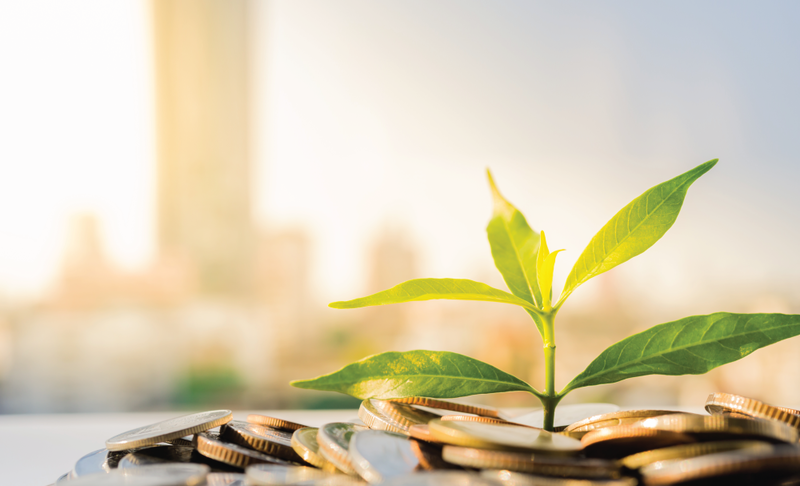 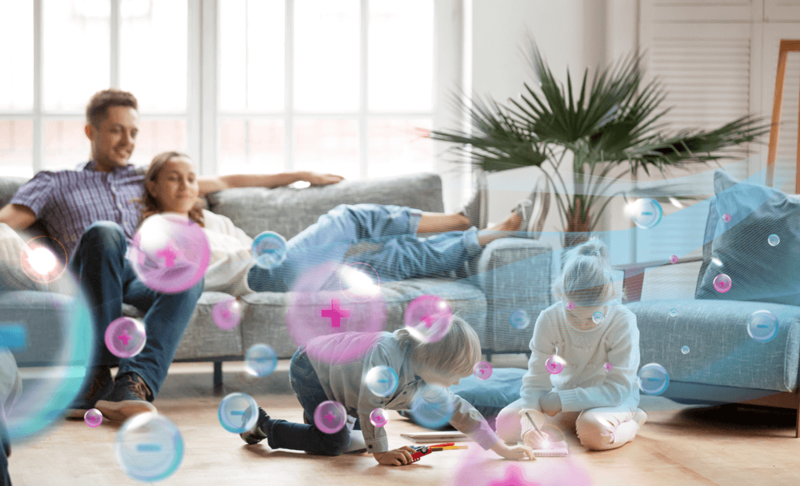 Products equipped with Plasmacluster ions have exceeded the 70-million unit mark. 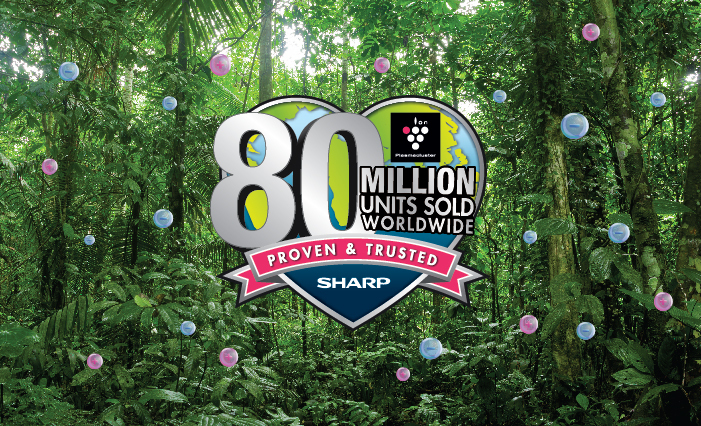 Sharp will continue its effort to bring the benefits of Plasmacluster ions to every air space. 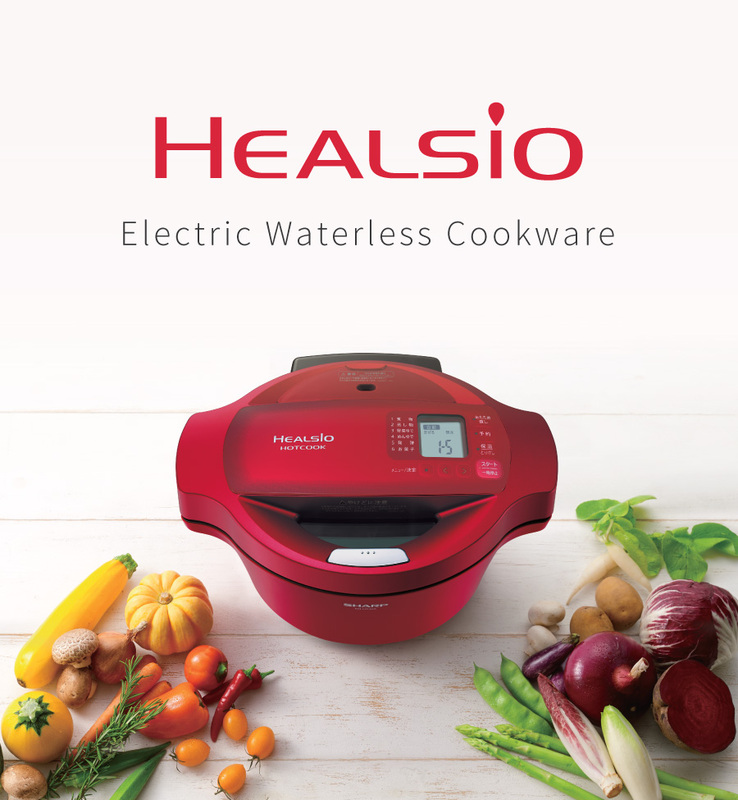 Bringing convenience to your life. Learn and adapt your daily routine and control your air conditioner in a smarter way. 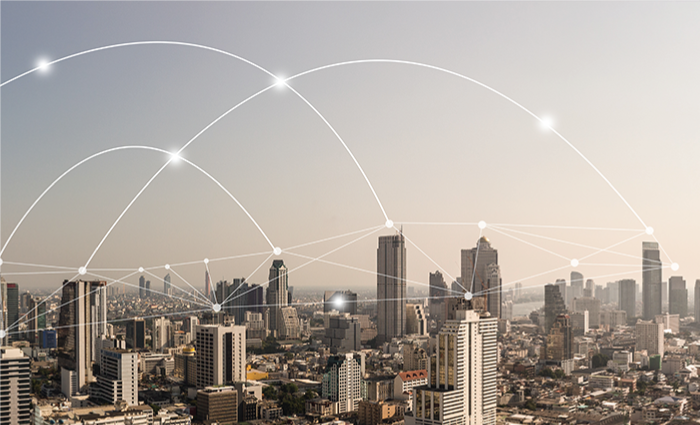 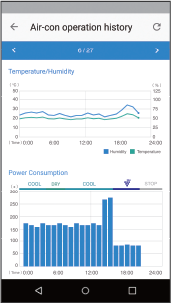 AIoT is where AI (Artificial Intelligence) meets the IoT (Internet of Things). 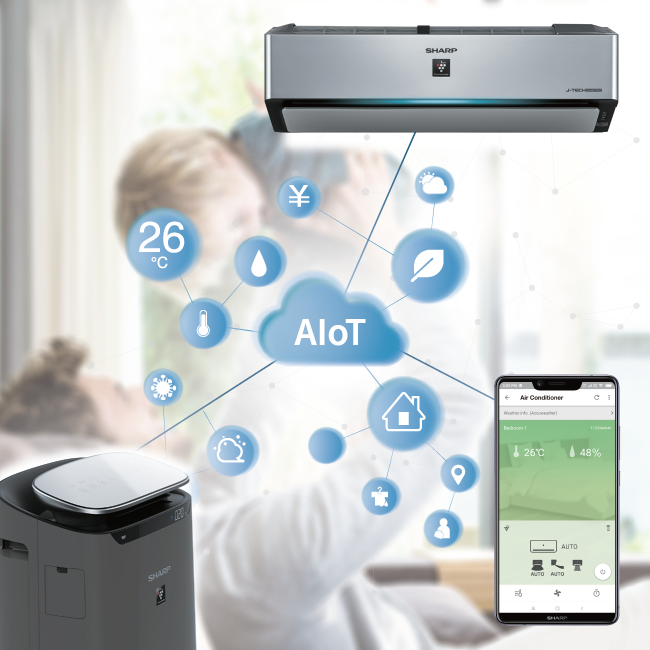 Appliances with AIoT connect to a cloud-based AI and get in sync with your daily life. 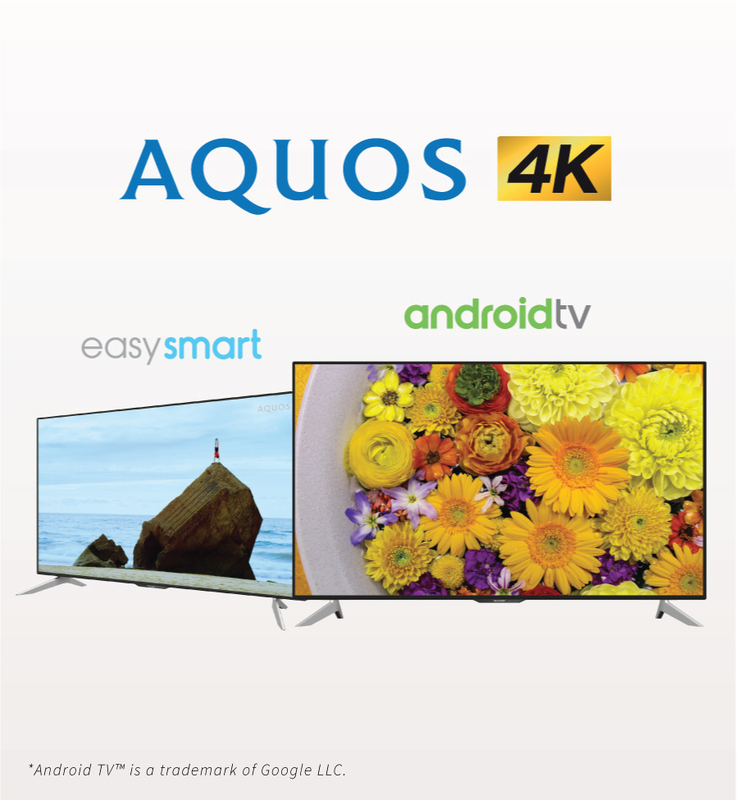 SHARP AIoT senses, thinks, and suggests the operation that will provide the outmost comfort for your individual lifestyle. Control your air-conditioner via a smartphone even when you're away from home. 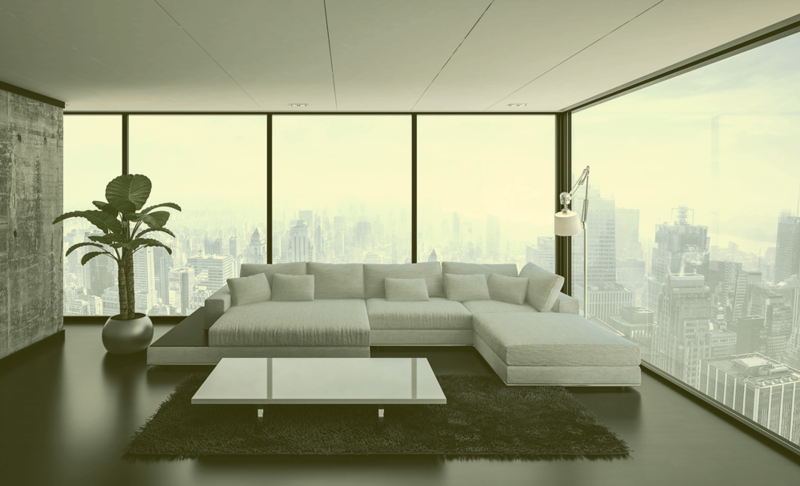 Walk right into a comfortable home by turning on the air conditioner just before arriving home. 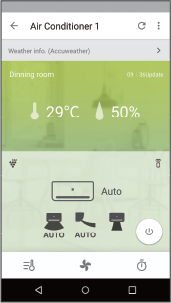 You can also easily adjust the air volume wind direction and timer settings. 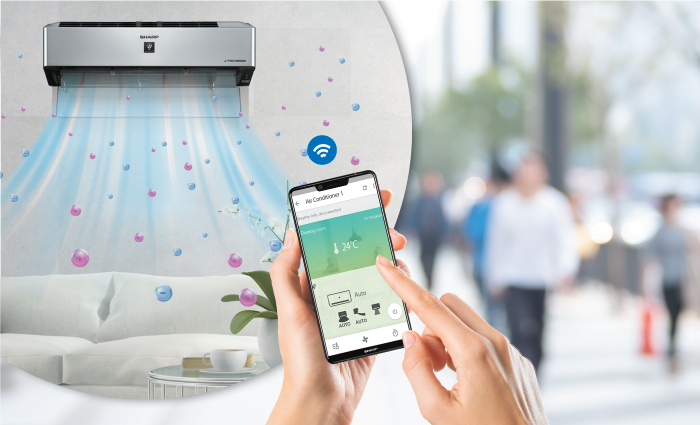 Sharp Air app enables you to observe the temperature and humidity of the room anytime and anywhere to help you to find the most suitable setting for your room. 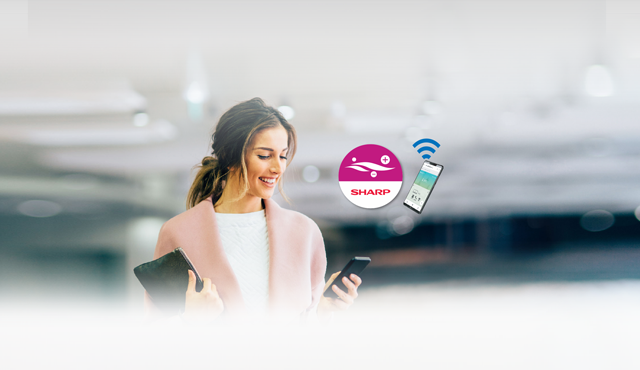 Sharp Air app allows you to view and monitor your air-conditioner operational usage to get a better use out of your air conditioner. 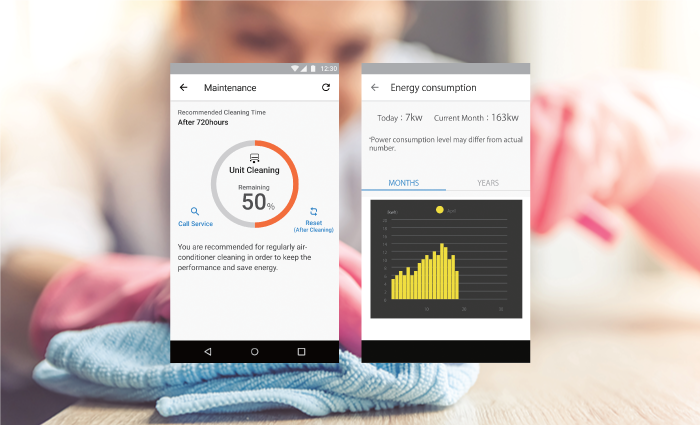 It even lets you know when to perform the cleaning service. 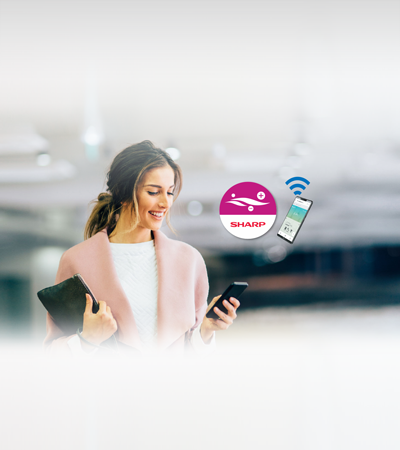 SHARP AloT recommends the optimal operation based on your daily schedule to operate in the most energy-efficient manner based on the AI calculations. 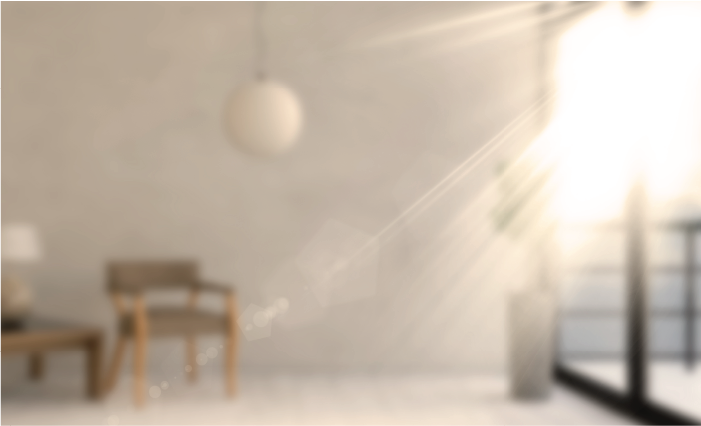 Sharp's Air Conditioners save up to 65%* energy with J-Tech Inverter and Eco Mode. 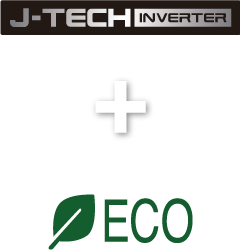 *Based on the Eco Mode and Inverter operation. 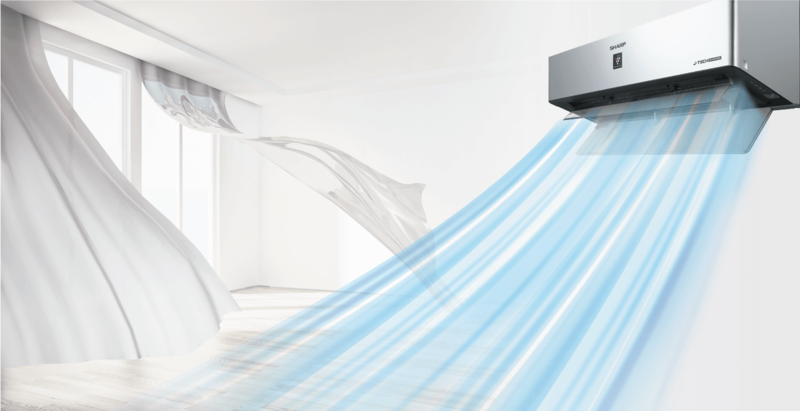 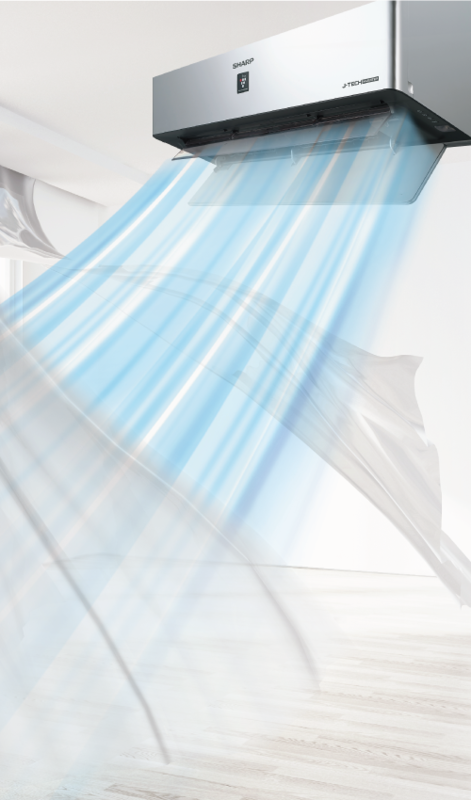 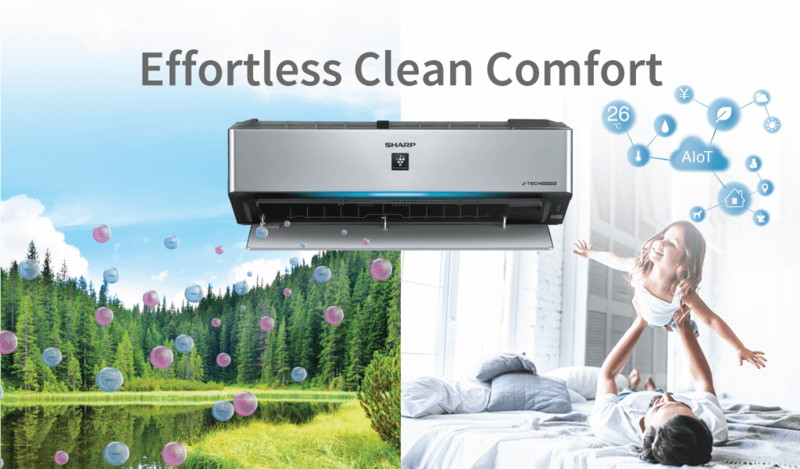 Sharp air conditioner's unique design with a dual long panel delivers a powerful flow of cool air that rapidly lowers the temperature in the room by 5°C in just five minutes. 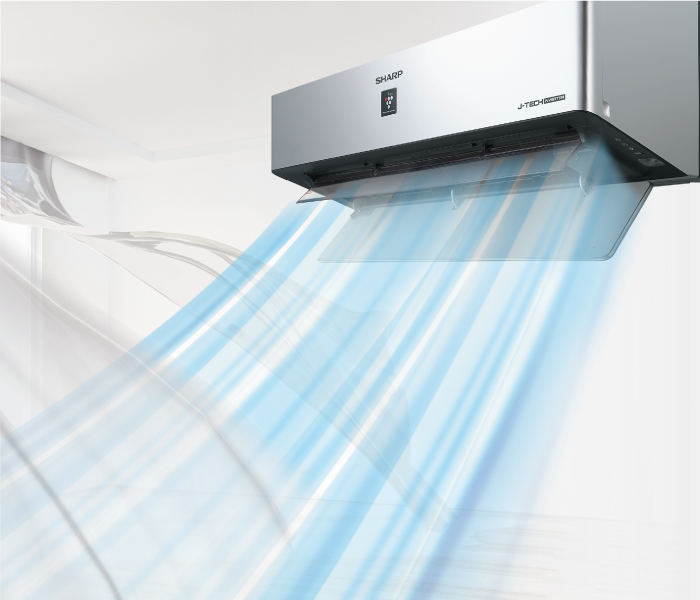 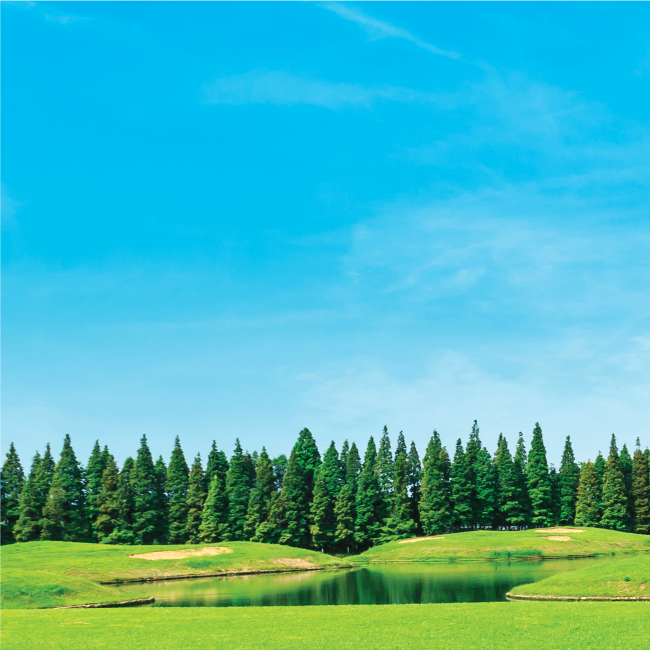 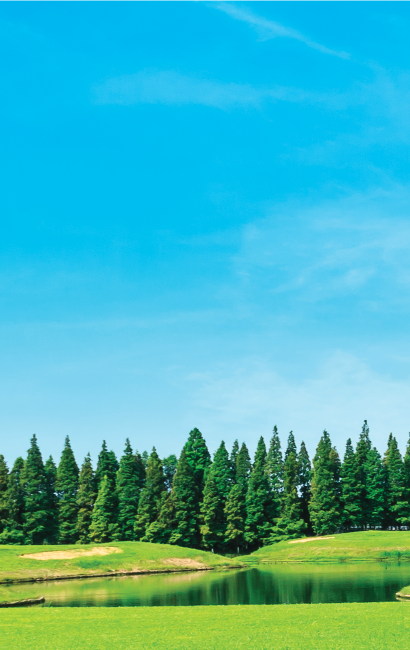 Sharp air conditioner can also be set to a temperature of 14°C - the lowest in the industry. 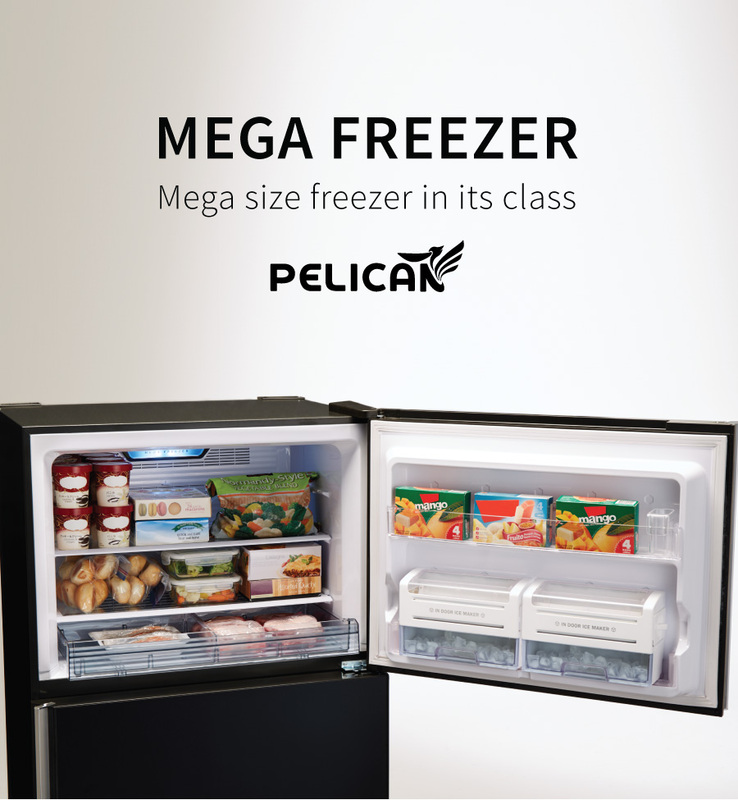 This improved cooling capacity serves to keep you optimally refreshed. 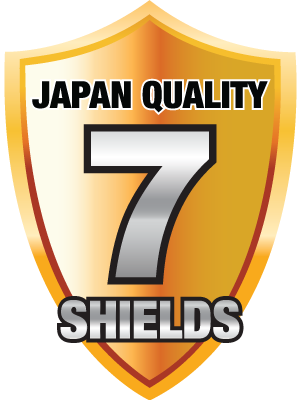 Protected with 7 Shields Japan Quality assurance.